Join Sony Artisan Thibault Roland for a two-day long exposure workshop September 30 - October 1 on the beautiful Oregon coast. 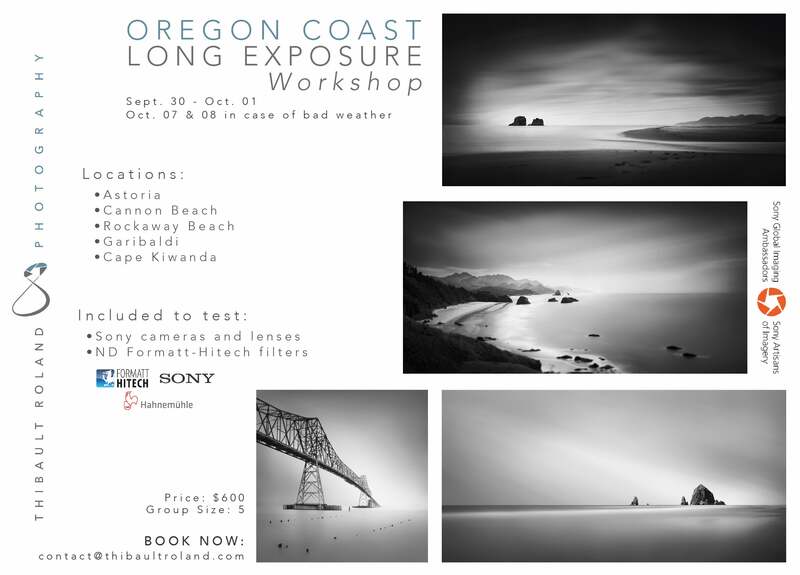 Participants will explore Astoria, Cannon Beach, Rockaway Beach, Garibaldi, Cape Kiwanda and more while learning long exposure techniques from a professional. Sony cameras and lenses will be available to test. The cost of the workshop is $600. The workshop will be moved to October 7-8 in the event of bad weather.